Discussion in 'Disney Pin Discussion' started by earthbound, Oct 22, 2010. Awww great photos, you both look great! So yesterday wasn’t too great at DSF. No luck with the numbers and it was so early and cold! It’s ok cuz I still got some stuff! A friend was able to get extras from the AP dumbo preview (poster and buttons) and she picked me up the adorable dumbo keychain from HKDL! I got some pins from a pickup with @pincrazy, and a couple pre-trades. Bonus: After taking, my fiancé and i got ready to go to dapper day and it was our first time! Also, it happened to be the food and wine festival, which was also our first time! After getting home, we checked the mail and saw I got my trade from @slbrabham! I opened it today cuz I was too exhausted from yesterday. Look at this adorable stationery! 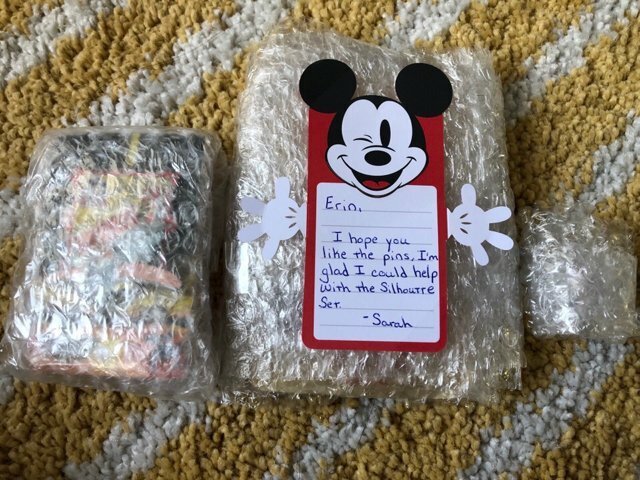 Thank you for the trade, Sarah!! Rapunzel is beautiful!! Just need Snow White to complete!! Congrats on all the great pins. I'm glad I could help you with the set. Good luck finding Snow. watzshakinbacon and Connies_Hobby like this. You guys look so good! Such a cute couple, and I'm loving that yellow dress! I just noticed that you Disney Bounded as Belle and Beast. Loving the look! watzshakinbacon, tiffychann and krand1276 like this. It is now and I'm going to steal it for the future! Ah I love your belle inspired dress!! My pin haul from trading at the DLR picnic tables. The Mulan is a grail I’ve been after and today was my first time seeing it in person. 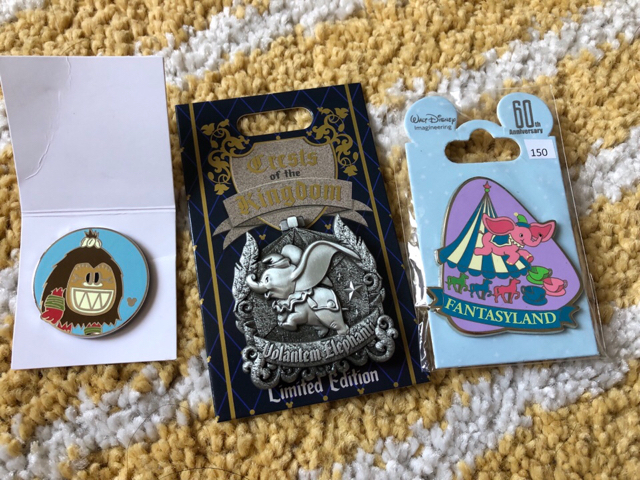 The Peter Pan and Hatbox Ghost Carousel are some new traders I got by trading away my extra pins from the Dumbo event. TheMickeyMouseRules, Ajk, mickeymousje and 4 others like this. The rest are some new traders I got by trading away my extra pins from the Dumbo event. When I stopped admiring the Dapperness of the Dapper Day looks, it hit me who you were bounding as. The look was awesome. Two thumbs way up! PS I talked one sister and 3 kids into Disney Bounding as characters from Moana when we go to WDW over Easter. Disney Bound outfits are color blocked outfits that represent difffernt Disney characters. For example, a Winnie the Pooh Disney bound look would consist of a red top and yellow bottom. Another example could be wearing pink and purple to represent Rapunzel. If you search Disney Bound looks, you will see so many amazing looks. PS I think @timeerkat has Disney Bounded as Sadness and posted pictures. I was too caught up in the admiring to notice! Everything about this is so perfect. Apparently adult guests are not allowed to wear costumes to the parks (unless it’s Halloween or something like that). To get around that, people would dress up in “theme” of characters rather than wearing a direct costume. 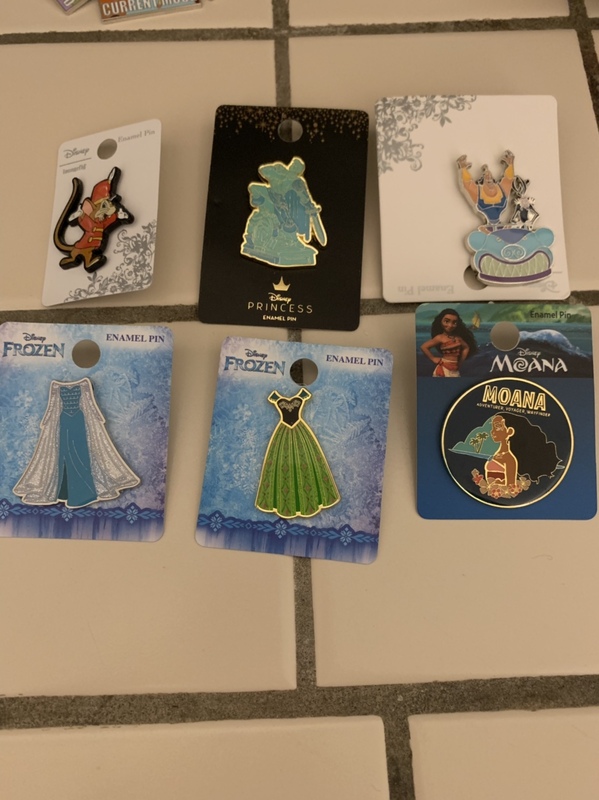 Much needed Pinmail from a pinpics trade. 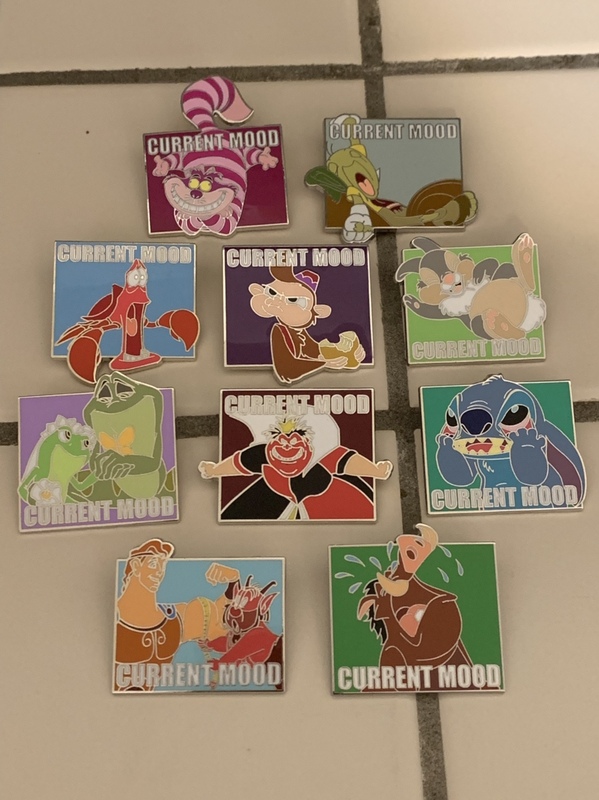 That Abu completed my set of Current Moods woo! TheMickeyMouseRules, tiggeriffic, MerlinEmrys and 13 others like this. My pins from HKDL arrived. I’ve been so excited for their pins since the flyer dropped. The button is so cute, probably my favorite button ever because it has all my favorite characters on it!! TheMickeyMouseRules, tiggeriffic, CCofRR13 and 6 others like this. Congrats on finishing the set! Always a nice feeling. TheMickeyMouseRules, timeerkat, CCofRR13 and 7 others like this. I received this lovely zap of a pin from @bcol. Bruce saw it was the last one I needed and sent it to me to complete my set. Many thanks! You are simply amazing! ladyroselie, nateeter, Disneychildwithin and 7 others like this. aww and your set lived happily ever after! krand1276, Disneychildwithin, slbrabham and 1 other person like this. How wonderful! 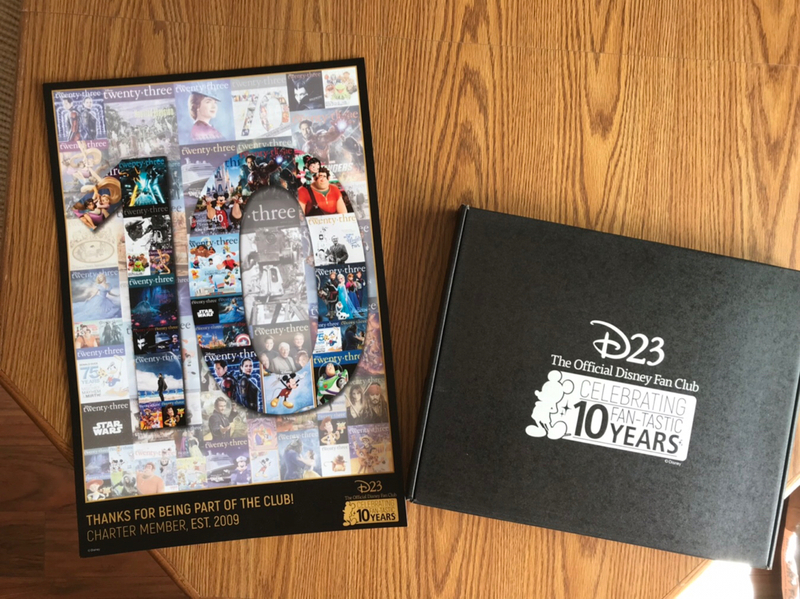 Can't wait to see how you will display it.